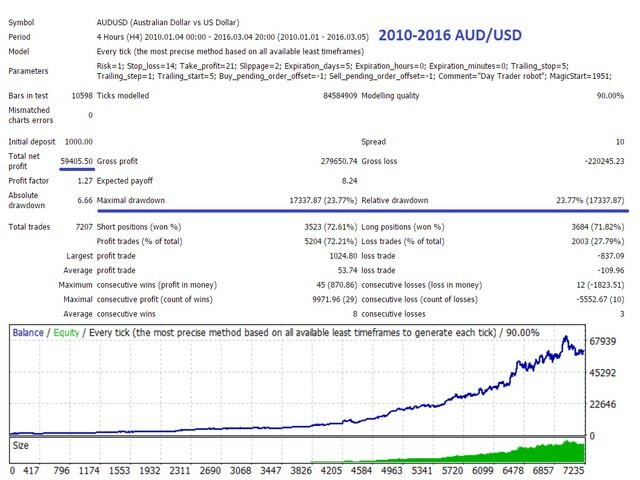 Day Trader is fully automated forex Expert Advisor. Robot strategy is based on price level's break out and some logical elements. 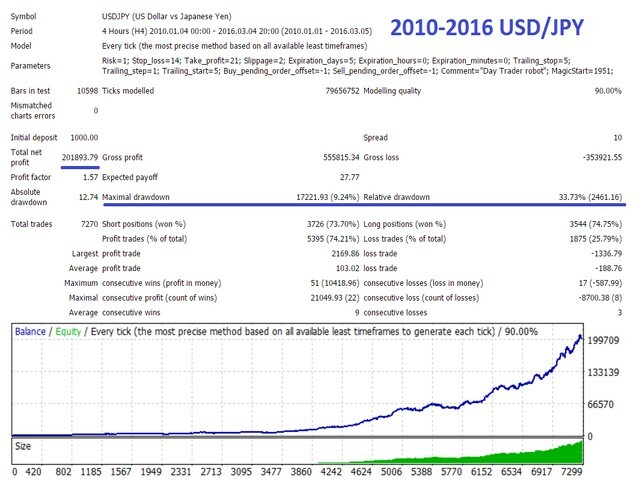 Strategy doesn't use risky strategy elements which can burn your account in one day, strategy is created as safe as possible for forex trading, so you money is protected from big loss, because it doesn't use big stop loss. Shows stable profit in history. 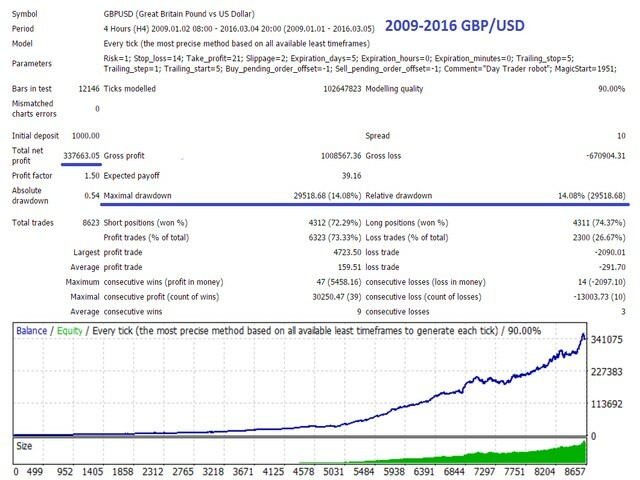 Robot uses virtual stops so they are hidden from broker. Best work on EUR/USD, USD/JPY, AUD/USD, GBP/USD 4H chart. It is recommended to use a low spread broker and a VPS. Download history data before testing on strategy tester. 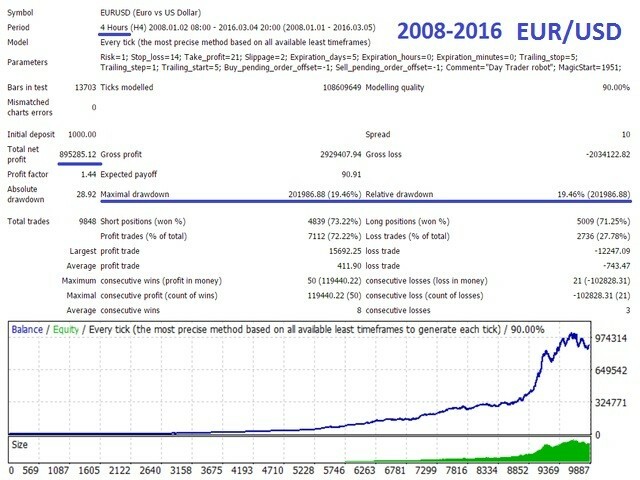 I suggest to start trading from 1% risk. Default settings are optimized, use them. Just choose your risk for trading, default risk is 1.